A recent study by the Center for Systemic Peace visualizes 328 major episodes of political violence from 1946 to 2016 — including 36 ongoing cases. 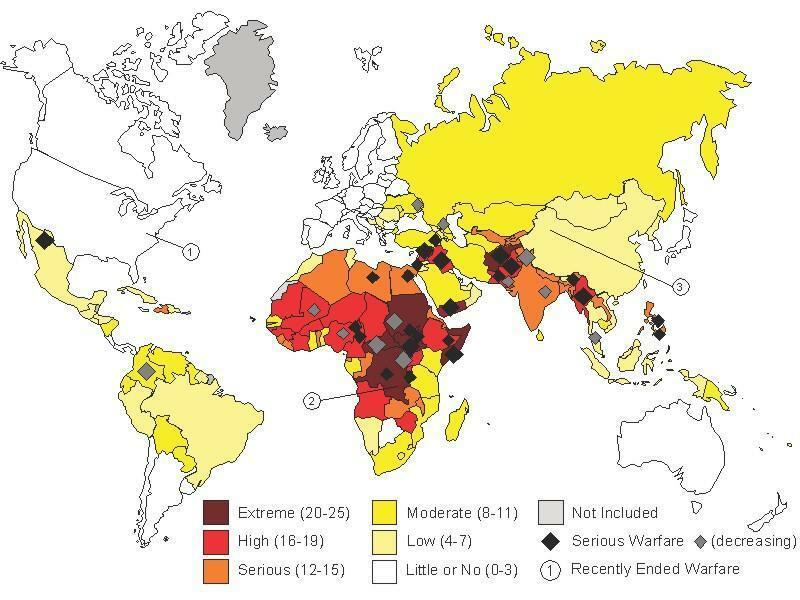 The study, “State Fragility and Warfare in the Global System 2016,” shows that the Enough Project’s areas of focus in East and Central Africa are the most war-impacted region in the given time frame. Explore the study’s accompanying graphic below. Click here to read the study.